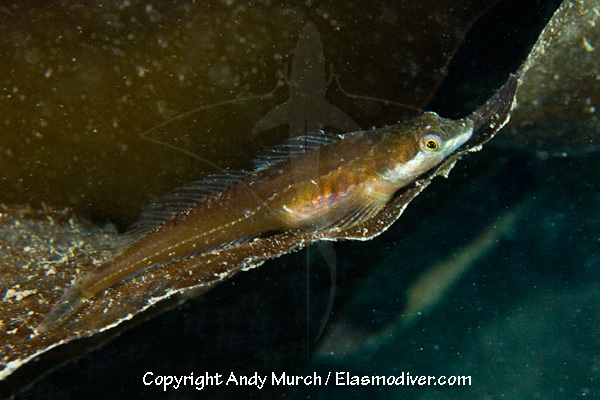 The manacled sculpin (Synchirus gilli) is unique in the Pacific Northwest sculpins as it lives on kelp leaves rather than on the reef itself. 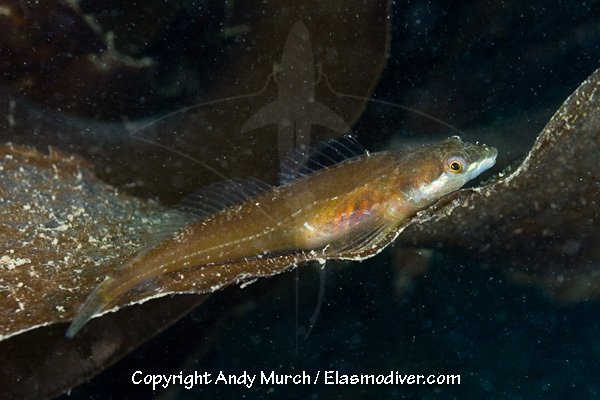 These manacled sculpin pictures are available for commercial licensing. For further information regarding usage please e-mail Elasmodiver. All of the images on elasmodiver.com are copyright protected. No unauthorized use of these manacled sculpin pictures is permitted. Please contact Elasmodiver for further information.